Automation of various daily activities is not a new concept. It is something we see and do in our everyday lives. We use the products that are born out of the internet of things. It’s in our smartwatches, home hubs, weighing scales, refrigerators, doorbells, our cars, and a million other products in between. The internet in them enables them to talk to each other. However, IoT goes beyond just our personal use products. It has expanded its reach to machines, factories and what not. This is the industrial internet of things. It is popularly known as the fourth wave of the Industrial Revolution. And in this blog, we are going to give you an overview of how it works, how it enhances your business operations and the challenges you might face during the implementation of the same. The most basic step of using IIoT solutions in your production flow is by integrating the necessary sensors or by switching out with the machines that have with the right sensors. There are two ways to go about it. Either one can build these machines from scratch according to one’s requirement, or one can buy these machines and robots and program them according to their needs. The sensors you use can be determined by how you want the actions to flow. For movement-based actions, you need a motion sensor, for time-based ones you need to set it up for actions at specific intervals. You can also have temperature-based sensors to get the most productivity based on the changing environment. IIoT might come with some complications but it has something big to offer us. According to a study, by 2020, 85% of manufacturers plan to implement IIoT solutions in their plants. This means that they can see the long-term implementation of IIoT and already have a workforce that knows how to use these systems or are in the process of hiring skilled people who are able to integrate IIoT in their workflow. And if you are still on the minority side of this, then we know the reason why. In our next section, we have listed out the concerns you might have regarding IIoT and of course, the reasons why you should let go of them. Why are owners scared of implementing industrial IoT services? Industrial Internet of Things connects the machines in your factory with the internet. The machines can monitor themselves and learn their own behavior patterns making sure that everything works efficiently. And if you are a business which has adopted Odoo to manage their business and is looking to expand then we know that you might come across a dilemma. A dilemma between hiring Odoo developer/freelancers or an Odoo development company for the same. 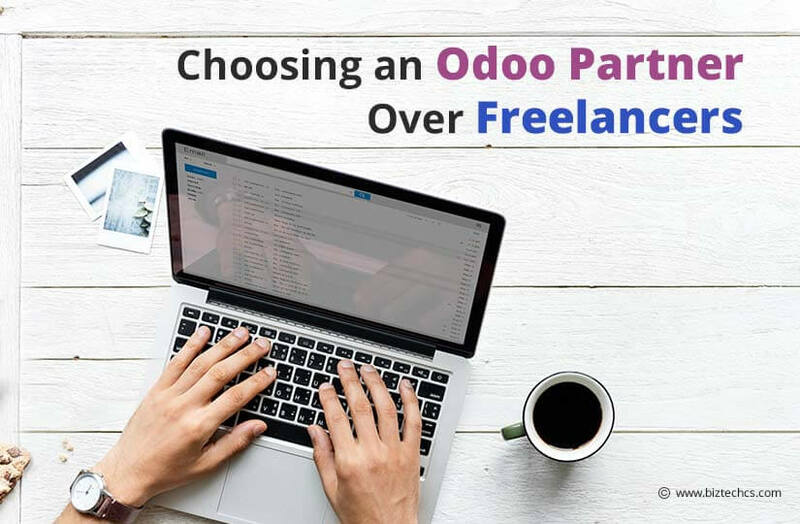 This blog is going to get you out of this pickle by listing out some of the factors to consider before choosing between Odoo Freelancers and an Odoo development company. The project size and scope may vary based on your requirements. And if the scope of the project is massive, then you will need a whole team working towards a common goal for complex requirements. So, ideally, hiring Odoo freelancers for small projects would be cost-effective providing you with the quality results. But if the project carries a lot of importance & has a wide scope, then going with a proper Odoo development company would be perfect. Every company has a way of working and a process for different projects. So, if you with Odoo freelancers, then there might be a scenario where you will need to manage and look into every small aspect of the development process. Wherein, with a suitable Odoo development firm, you can rely on them and can get desired results without much supervision from your side. Hence, if your firm likes to follow a set of rules and a proper process, then go with a proper development firm. When it comes to freelancers, they work on multiple projects simultaneously and hence they try to finish the work as soon as possible. On the other hand, any Odoo development company try to build healthy and long-term relationships with clients. Therefore, the Odoo company would develop and work on your project with a keen focus on each and every detail. One can say that choosing the development firm ensures quality and on-time results with extended relationships. There is a clear gap between quality and quantity. Just like that, when you opt for a freelance developer, it might be cost-effective. But as a result, you can expect some discrepancies in the results as they work individually. On the other hand, with any development firm, you will find a fair difference in the quality of outputs. In the end, it always stays up to you. You can always go with both the options as per your requirements. When you need a fully customized solution, development firms have the advantage of having different sets of expert developers. Whether you want to develop an integrated solution, or customized software, with development firms you have an added benefit of working with a team with various areas of expertise. Safety and confidentiality of your project and other details are of utmost important. And organizations have strict policies regarding this. All the members working in the firm are bound to follow the practices to make sure that no sensitive information leaks out. When your development partner completes the project, it doesn’t end there. Furthermore, you will need support and maintenance from time-to-time. In the instances of any urgent queries, it is worth the extra charges to leverage the extended support for the project from an Odoo development company. Where to look for an Odoo Developer or an Odoo Development Company? One can say that hiring a company would ensure real-time results. But for most of the start-ups, the cost is going to be an obstacle. For such instances, you can hire Odoo developer from India. At present, many startups outsource their development needs to India as it an affordable solution. This development model is cost-effective serving you with quality results. You can leverage the benefits of the largest group of technical and professional talent. As you choose to go with the official Odoo partners the work, you would get is up to the mark. You can also ensure timely delivery with official Odoo partners. Most reputed Indian development firms will have dedicated teams working on Odoo projects. Which leads to timely delivery within the pre-decided budget. If you want to hire Odoo developer from India, you can discuss the above-mentioned aspects with them and try to finalize possible ways based on their reply to start the development process. This way, you can get a clear understanding of your development partner to build a long-term relationship. A qualified Odoo developer will make the most out of the resources offered by Odoo. It will make your process streamlined and more productive. You should opt for a developer or development company that has enough resources to render you the best possible solutions. You would also need support and maintenance services for regular updates. Hence, it is wise to take time and select a developer that helps you to align the work process on a long-term base. There is a different workflow for every type of organization. It’s all about recognizing the difference between the individual freelance and organization services to choose the one that suits your needs. According to Forrester Research, by 2020, – which is only next year – the US will have 12.1% of all B2B sales, via e-commerce. Therefore, it is necessary that your store stays relevant in the ever-growing competition. To figure out all the measures you need to take, you should know the various differences between B2B and B2C business models and website requirements. You need to come through on your word, in terms of delivery, quality etc. This is not to say that you don’t have to do that on a retail store, but that a B2B relationship can make or break your business. B2B deals go through multiple levels of approval, while a B2C customer will make a purchase if they find what they are looking for. When a B2B customer buys your products, if you throw in extra benefits like free shipping or a bundle of accessories for that product, you can be looking at a long-term contract with them. B2C customers will buy once and with a good offer maybe come back to your store, but there is no contract with them or a permanent relationship. While building a web store, you have to keep all of these things in mind. So how do you go about it? The first thing to do is pick out the platform you want to build your store on. There are multiple options, offering a variation of services and tools. One of the best platforms out there is Odoo. Let me help you explore why. Building an e-store on the Odoo platform is a no-brainer. It provides a host of benefits and customization options. Whether you are starting from scratch or switching over from another platform, there are a number of Odoo development services and providers in the market. 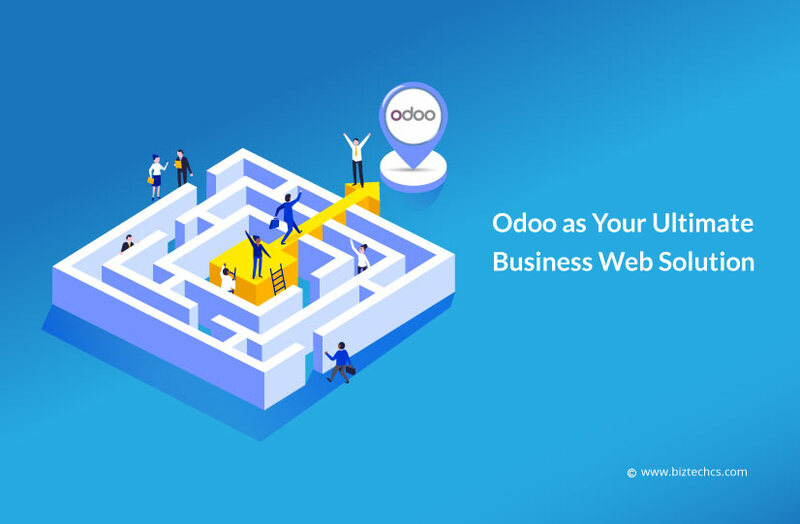 But before giving your business to any of the service providers, make sure they are official Odoo Ready partners, which makes them a premium provider of Odoo development services. These providers know the ins and outs of the platform in detail & know what they are doing. If you are looking to hire Odoo developers then make sure they can work dynamically and help you develop your web presence in multiple ways. If you want to build a website on the Odoo platform, then any good development company can help you with that. The standard Odoo format is not a limitation. Make sure the company provides customization for your website according to your business requirements. Odoo gives the flexibility to build a great website based on its platform, which helps in retaining each website’s unique character. When your website is great, it is easier to navigate. As official Odoo partners, it is very easy for them to tailor your Odoo website to your needs. When the concept of e-commerce started, geography was no longer a limiting factor for businesses. You can have a much wider customer base with an e-store. With Odoo, you can design an excellent online store, so that you can reach out to customers much more easily, no matter where they are based. With an internet store, there is also the challenge of keeping your customer on your website. If the design of your e-store is as beautiful and functional as a brick and mortar store, your customers are bound to stay, and, come back. The future is app focused. Everyone has heard this and is trying to work towards it. Mobiles are the most accessible internet devices. So putting your e-store on that platform is the next step for your business. An Odoo app will reflect your web store. Mobile applications provide a much better experience on the smaller screens when compared with navigating the webpage on a similar screen. A theme is how you arrange things, what color everything will be, the flow of products, etc. It is a décor term. Although, that doesn’t mean it is unimportant. Décor determines the mood of a shop. Similarly, a web store theme determines the look and feel of your e-commerce store. You should carefully consider what your store represents and then choose the right theme for you. There are multiple Odoo themes to choose from, for both the frontend and the backend of your store. Every platform will be missing something or the other. A web store, however, cannot miss anything in order to be fully effective. However, there is a simple solution to this. You can add different elements according to your requirement and customize your Odoo based store, as you want to! This is also your way to stand out from other stores, by adding something additional for your customers. Lastly, you have to think about what you can do to make your business run smoothly and the backend more efficient. You can integrate a Customer Relationship Management module, an accounting module, as well as other apps to it. Although having enough B2C development platforms, the B2B market needs customized and dedicated B2B software to rationalize the complexities and provide ground-up technological B2B solution. The best way to go about this is to hire Odoo developers who can work for your store’s needs. At the end of the day, the solution should help you run your business smoothly and be financially beneficially. When it comes to the best audio systems in the world, there are only two brands we can think of: Bose & Sennheiser. The German giant has recently decided to get rid of the homegrown ecosystem for customer data management. And integrated SugarCRM to hear the better sound of the data. Apparently, their CRM was not able to process all of this data and provide a central view of the same. Therefore, in order to make the best use of the available data, one must first correlate this data. The Executives identified the need for a robust CRM to ensure that their global workforce gets a 360-degree view. From the CRM point of view, it must be a comprehensive solution. As it needs to fit within the expansive sales channels and integrate customer services & marketing efforts. The SugarCRM development team deployed the solution which was to run across 40 countries. They implemented Sugar first for the B2B sales and then applied to the B2C. And then gradually applied this to various other verticals. The result was that the data insights across verticals became possible. Sugar made integration between marketing and customer services. The Sugar deployment bridged the customer lifecycle data with the new sales leads. The impact was to be able to convert customers as personal users. This data led to an increase in cross-selling. Sugar helped Sennheiser to chart the customer lifecycle and to sell with one to one approach. It became really easy to apply the learning from a given customer follow-up cycle to convert another one. It all became available due to the Sugar deployment. Further, the Audio Electronics giant plans to expand the scope into social media for marketing & lead generation and to create a workflow mechanism as a process. Sugar is one of the leading enterprise CRM software available today in the market. The build of the solution ensures the ability to process large data streams. It is also an ideal CRM software that you can easily integrate with various tools. The primary reason why Sennheiser choose Sugar over the other CRMS is that it can customize the processes to suit your needs. Every business runs with its own defined processes. Traditionally, that was the primary reason why the industry leaders opted for a custom CRM. Sugar is one of the best with respect to customizations of CRM. Therefore, if your needs for customized processes are equally demanding, Sugar could be the answer to each and every one of your needs. You might already have Sugar installed or you could be the one vetting your options right now. As technical experts with a number of successful Sugar extensions on the Sugar Outfitters, Biztech can be your guide through this extremely complex process of SugarCRM development and customizations. Some of our best extensions are Survey Rocket, SugarCRM WordPress Customer Portal, and TapCRM. Based in Ahmedabad, Biztech is one of the leading IT Products & Services providers. We offer end to end SugarCRM customization services along with ready to use products. We have a dedicated team of skilled developers along with the Sugar ISV Partnership. As we are an ISO 27001 certified company, we promise high standard practices for information security. In order to get an estimation for your requirements, get in touch with us. This was our take on the case study published by SugarCRM. Do you want to generate an ample amount of revenue out of your online business? If yes, then you must be aware that digital marketing is the best way to do so. It isn’t easy to market online with competition being global but it’s not impossible as well. There are many ways to go about digital marketing: SEO optimization, Content Marketing, PPC Campaigns, Social Media Marketing, etc. But it is important that you do not get overwhelmed or influenced by any of them. Assuming you have a prodigious amount of budget and need o strike a balance between your marketing, product expenses, and return on investment, you need to have short term and long term marketing plans. While you get advantages sometime later out of your SEO and Content marketing campaigns, it’s wise to have an allotted portion of your marketing budget for PPC services. This study from Word stream say that the top 3 paid ad spots from the Google first page get 41% of the clicks. This means that apart from these paid spots, the entire organic results have only 59% chances of getting clicked. It doesn’t matter how well you rank, those first 41% searchers are never likely to see your organic content. Although it’s true that paid ads can be expensive. And that too with two types of cases. Whether it’s you trying to handle the campaign by yourself or it’s a marketing agency who believes in the higher the budget, the better the revenue scheme. Our PPC experts believe that you should consider your revenue as profit only if it’s 400% of your costs. This is the perfect way of selling your products through Google and rank higher among your competitors. You need to make sure that your e-store contains at least 500 products. Otherwise, you may face some visibility issues. Your product gets the spotlight within Google Search. Generate qualified leads/sales in a short span of time. Your multiple products may appear for the single performed query. Chances of higher CTR rates. These campaigns work on the keywords. As per your requirements, you have options to select. You can go with Search ads, Display ads, or Video Ads as per your choice. Out of all the conditions if you want your ads to appear on the first page of Google, make sure that you provide an excellent user experience. If the optimization by your PPC company is done properly, your ads will appear on the first page of Google among your top industry competitors. You can also control the messaging and site links you want to display. For example, you can display several links related to your portfolio, pricing page, product page and so on. It gradually increases the CTR of your page. You can add specific call outs, CTA targeted messaging to make your ads look more appealing among other listed competitions. Speed: You launch a PPC campaign and within some hours, you will start getting traffic and probably sales to your website. Customer Reach: Businesses crave for the targeted audience. And Google ads provide great control over demographics. You can choose the location, age, interests, and many things to filter out the audience on your store. Boosts Content Marketing: While content marketing is one of the most major things marketers try, you can maximize its performance with the support of Google Ads. Remarketing: You can track the users. The ones who at least once visited your website. And if they didn’t make any purchase, here, you can target them again with the remarketing campaigns. Previously known as AdWords Express, it was a standalone solution. Designed for a lower maintenance option for small businesses. Good news is that to establish the conversion capabilities, Smart Campaigns is now a part of the Google Ads Family. You just need to set up your account and rest other things are managed automatically. You have no keywords to choose, no bidding strategies to decide, and no ongoing maintenance. This way, you can spend more time with your customers. Campaign Overview: Where you get all the performance insights. Alerts: Get alerts about billing, issues, etc. Map Track: Track the number of people clicked on the location, opted for the directions. Track your Calls: It shows a number of calls received from the campaign. Schedule: Choose the days and time specifically of your choice to run the ads. Why We Don’t Recommend You Smart Campaigns Though? Just like everything being automated on the internet, Smart Campaigns is a new way you might like to try out and run the campaign by yourself. But just like everything has a dark side, here you do not have control over so many things. You cannot decide your keywords, bidding methods, bid adjustments. This means that you cannot pause any of the campaign keywords whose bid gets increased. And there are chances that you might end up exceeding your budget and would want to stop the campaigns midway even before you get anything out of it. 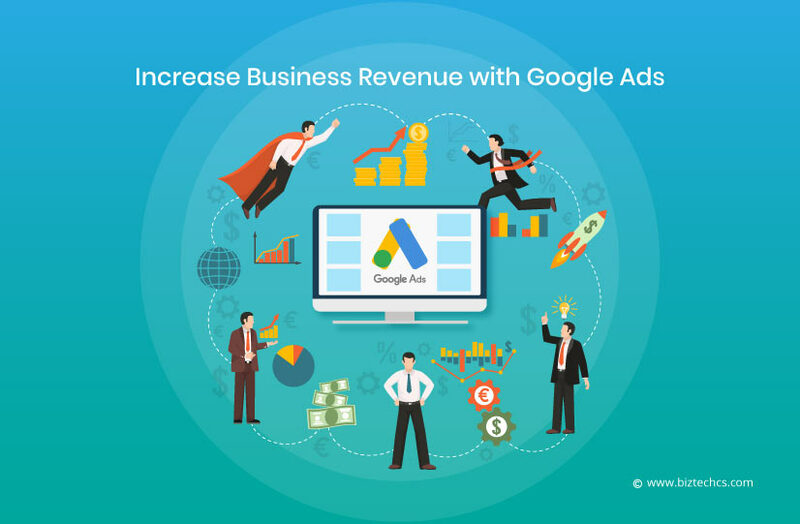 It is important to squeeze the desired outputs from the ad campaigns with regular bid adjustments, adding negative keywords, new keywords, trying out new ways to improve the performance of ads in Google. Plus, to manage and balance your costs up to your pre-decided criteria you need a PPC company to do all the hustle. We advise you that while managing your campaigns, the focus needs to be on the conversion rates and how to constantly improve that. A few months ago, we had one client for PPC services. We managed to optimize their revenue growth to 274% against only 41.94% of the spent cost. When we initiated, the spent ratio was 147% with 157% of revenue. To read the detailed report you can click here. The main point is that even if you know how to manage these operations, you will get fussy about the non-performance. Because, after one point you will need an expert who streamlines your conversion rates to decrease the cost ratio. Do you also want to increase your conversions? Discuss your requirements with us and we would be happy to make your campaign a success! Advertisement is a primary tool of marketing. You advertise a product to spread an awareness among your customer base. This way they come to know about the product and good ads leave a lasting impression on their mind which makes them buy the product. Advertisements used to happen on print media, televisions, or radios before the internet was born. Occasionally, though more often than occasionally, print ads were brilliant. They reached masses and people actually paid attention to the product ads because of how good they were. People used to care about ads for radio and television as well. This is not to say that no one cares about it now. However, then came the internet and it changed everything about the advertising industry. It fast tracked all industries and their selling potential. It changed the way people spent on marketing. With print, one had to buy ad spaces on news pages or in magazines, which is expensive. While with television, one had to buy prime spots or have a very small audience that consumed content at odd hours of the day. The wonderful thing about the internet is that it’s everywhere, with a whole lot of advertising channels being free or almost free. Your spending prowess doesn’t limit online marketing solutions. There are solutions that cost nothing or very little. So, marketing is easier now for everyone, and not just for big companies. Digital ads can reach any device connected to the internet. So, the potential of your ads become limitless. Traditionally, advertising is just one aspect of online marketing solutions. Now, one can market products and services on social media, through email marketing, with videos that play on video sharing platforms like YouTube, etc. Modern-day advertisements themselves are not static. There are images, animations, and videos, that make ads much more interactive than simple looking few words in a newspaper. There are multiple benefits of shifting your marketing efforts and resources from traditional marketing to online marketing. But there are some negatives that might be making you cynical about shifting to online marketing. There is too much going on the internet, so sometimes your voice can drown in all that. With taking things digital, comes the problem of your digital impression. It is very easy to mess up because of internet trolls and negative feedback. As the internet gives you a voice, it also gives a voice to negative feedback. One can get accurate statistics to analyze the return on investment and performance of the online ads. Based on these statistics, one can also understand the demographic based requirements of the products or services they are selling. For example: Showing ads for raincoats in a region that has next to no rainfall is futile. But showing ads for the same product in a region when it rains most time of the year, will convert into positive sales. The reach of online ads is wide as around 4.012 billion people use internet worldwide. With more devices connecting to the internet every day, your products and services can reach out to more people easily. For example: If you have an ecommerce clothing store with a global targeted audience, then online ads will make your web presence more effective and you will be able to reach to your targeted audience. When you direct all your marketing efforts towards online advertising, you can target the audience the way you want to. The flexibility that online platforms provide make your ads more relevant resulting in higher sales and overall organizational growth. For example: If you sell headphones, you can have your ads play before consumer technology videos, or place them with consumer technology blogs. As a business owner you can partner with media houses, or blogs to talk about your products. In return, when your targeted customers buy your products through the links they have provided, they will get a small percent of the sale. 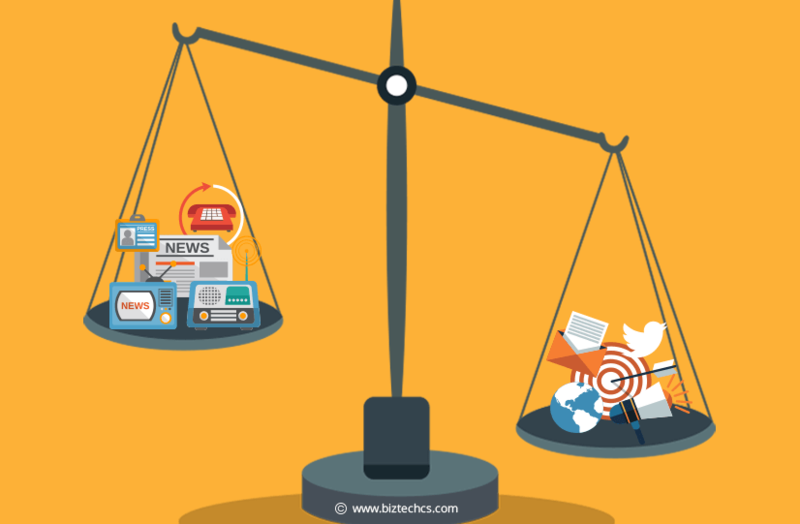 Digital marketing gives small and big companies the same platforms, therefore providing the equal opportunities to each and every one. Keeping the benefits aside, online marketing is not rocket science but it comes close. As a business owner this can be pretty overwhelming. But as it happens with all innovation, a whole new industry of digital marketing has risen with the internet. There are plenty of good digital marketing service providers available. You can pick such company that works well for you and handover your online marketing segment to them. 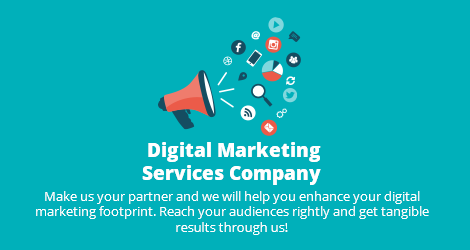 Digital marketing service providers are experts in figuring out what works for your brand and how to represent you in front of your audience. It is easier to have a dedicated team working on marketing so that you can focus on your growing product or enhancing services. You can only maintain relevance in the market if what you are selling is up-to-date to meet the requirements of the audience. It has to keep up with the competition and if possible offer better features than the competition. This you can do, when you work hand-in-hand with a digital marketing service provider. The cotton mills. The assembly lines. And the microprocessors. Do you know what’s common in these three? These were the driving force of first, second and third Industrial Revolutions. Each of them has its inception from industrial agonies of superannuated work processes. Moreover, all these work methods not just advanced the way industries used to operate, but also obsolete the conventional operations. IoT is the new entry in these applied mechanics to drive the industrial transformation one more time. And that too more powerfully than its predecessors. As it has happened by far. The steam engine driven Cotton mills gave birth to modern time factories in Britain. After almost 150 years, Ford’s Assembly lines ushered mass production and also drove horse carriages off the roads. In the later 20th century, the rise of electronics introduced microprocessors. 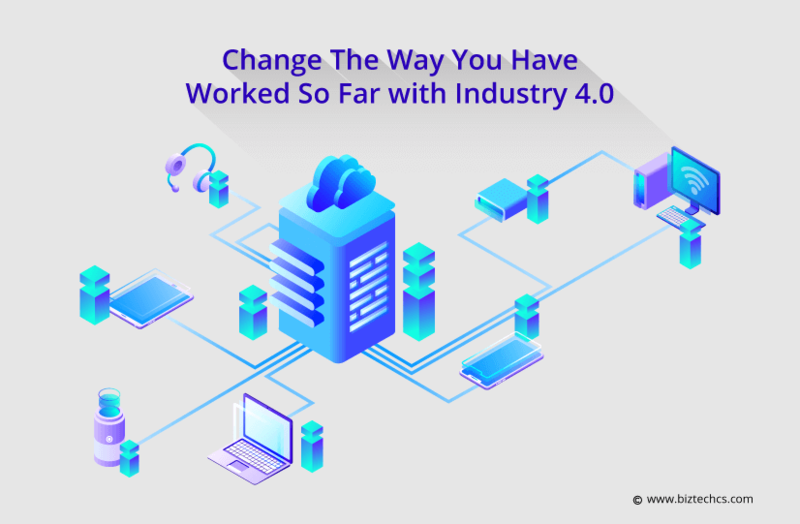 It changed the industries one more time with a desktop in every office and telecom connections. Now it is the time for IoT, the new steam engine that is imputing the IIoT Solutions. Yet again, breaking old norms and patterns and surpassing the potential of its predecessors. The basic feature that gives Industrial IoT Solutions superiority is its ability to create a nexus of other powerful technologies. It gives a base for Big Data, AI, Machine Learning and several others to set together and work collaboratively. In this whole cycle, IIoT helps them connect, communicate and command actions with efficiency as well as convenience. Now, that is innovative and improvised. So, in other words, you can also take this technology as Marvel’s X-Men series Mutant character Rogue. The one who can absorb other’s powers and use them by touching them. Generation X managed their way out through digital interaction. Now the Generation Y is taking this to the next level with an intuitively cohesive machine to machine interaction. With the help of Machine Learning, you can add senses to the machines. And harness them with real-time analytics, data-driven processing. Hence, it will lead to a real-time point to point communication between machines for better control and monitoring. IIoT makes this interaction operable via triggered responses and will enable it to react as required. Saying it more simply, the machines will be able to know what they need and when. And at the same time, it will also command for procurement or if directed, will procure by its own. For Example: In a windmill energy plant, if the motors are moving too fast and on a higher flow, the system will send the readings to the cloud. In the controlling and monitoring room, the system will read this data. It will calculate and extend the spectral to handle more energy input. Decision making is the game in any business. IIoT adds more value to your business decision making with real-time feedback from the system. Industrial IoT Solutions enables the machine to analytics and analytics to machine interaction. It lays the foundation for this critical interaction to work on AI. With such interactions, industrial processing becomes more refined and renders more clarity in decision making. On the parallel note, the whole workflow becomes insightful, productively advanced and self-sufficient. For example: John was searching for smart wearables online and he visits the nearby store to buy that. The store proximity device or bacon sensors detect his smartphone and identifies him as a mostly visited customer. Based on his previous purchase patterns and shopping insights, the system will identify him as a valued customer. And it will send an alert to the store manager who will serve him with a better deal to deliver good customer experience. The use of wearables, sensors, and bacon are driving human life to the next level. IIoT drives the best out of it by using these devices with IP protocols to act automatically in real time. In Industrial engagements, it will drive an automated workflow that notifies, analyze and react on its own. And that all with utmost efficiency. Hence, it confines the human intervention to the minimal level and shifting its role to other much productive engagements. For Example: Let us talk about a warehouse that is managing a mass stock for an e-commerce store. The IIoT driven system will automatically assign the tasks with required instructions pre-defined in the system. Sensors will detect employee cards whenever they arrive in the warehouse and will assign their tasks through an automated process right on their desk. Hence, whenever they will receive an order, it will assign that automatically to the respective person. Same way, whenever the manager or supervisor will arrive in the store, they will get reports for the past day orders and their statuses automatically on their screens. CRM software available in the market are upgrading at the speed of a space shuttle. They are advancing and reaching new limits every day with a single aim in mind: To make it easier to build and strengthen customer relationships. Recently, SugarCRM has expanded its horizons by introducing new features in their Winter ‘19 release. This update will supercharge the SugarCRM and Sugar CRM development companies. These features will supposedly make SugarCRM simple, easy to use, and will include some innovative tools which will help organizations to weave sound relationships with their customers. Comment Box: This feature is included in the Winter ‘19 update and this feature allows employees to keep applicable comments within the SugarCRM. Moreover, they can share the comments they want with the customers. Usage: This feature provides a great opportunity for everyone in the organization to contribute and collaborate with their customer knowledge base. A chance at creating an extensive and information-rich knowledge base for their customers. Exportable Data: SugarCRM knowns their audience inside out. They know the pain points and what kind of solutions their customer base is seeking. To enable their users to utilize the stored data from anywhere, SugarCRM has introduced the exportable data feature. Usage: The main purpose behind introducing this feature was to provide a certain level of flexibility to the organizations when it comes to gathering, processing, and digesting the company data. Quick Access: SugarCRM’s understanding of the importance of CPC and their investment in developing features around it is visible in this feature. Their users will be now able to provide their customers with quick access to their frequently and most visited products through Product Catalog Quick Picks Dashlet. Usage: This feature will improve the customer experience as it lets them access what they like and visit frequently smoothly. Business Automation: The newest update of SugarCRM includes advanced workflows which will allow the users to add automation into most of the aspects of customer operations. The update also comes with the ability to update and create various related records. Usage: There are multiple ways to use automation features in your daily business operations. The automation of certain processes will allow better usage of the user’s time. With the above-mentioned updation in the SugarCRM, it is most likely that this CRM has plans to become an industry leader sooner or later. It will definitely take some time for them to reach there but with the right vision and customer-centric strategies, they will soon reach there. There is no doubt in that. And SugarCRM is not alone in broadening the bandwidth of their CRM software. There are some plugins and extensions available, created by Sugar CRM development firms, for SugarCRM that help in expanding the functionality of your everyday CRM. These plugins make for great add-ons for every kind of industry. One such plugin is SurveyRocket. A smart survey plugin that works with Sugar as well as SuiteCRM. This plugin will let the user create unique surveys right from their CRM. It comes with advanced features like skip logic, net promoter score, real-time feedback, and analytical data. All of these functions combined will definitely affect the quality of your customer relationships. Moreover, with such advancements in the cyberspace, you can now access all the CRM functionalities right from your mobile phone using apps like TapCRM. This mobile app of SugarCRM gives freedom to users to work from anywhere and everywhere. Any Sugar CRM development company can help you create personalized plugins and add-ons which can create a huge impact when idealized properly. SugarCRM is going places with such updates and it’s taking its users along with. Stay tuned for more such updates on Sugar CRM development. People say that there are no job descriptions in a startup. Unfortunately, this ambiguity leads to the most common mistake founders make, i.e. trying to do everything on their own. It is quite understandable that you want things to be perfect, down to the smallest detail. And when it comes to your e-commerce website, this perfectionism becomes necessary. But there are different ways of achieving it, depending on your needs. A good example of this is a Magento based e-commerce platform. Magento offers both Open Source and enterprise versions. You can further get them developed by Magento developers that may be in-house or freelancer, individual or agency. A web-store can be simple and minimalistic or feature rich with multiple pages. This will depend on your catalog, industry and the kind of user experience you wish to provide. This may be dependent on your target market and several other factors. Like customization, the complexity of the site will affect your choice of developer. A firm with a rich portfolio will be able to balance the site’s functionality and usability without making a compromise on either. This is necessary as the site should be easy to navigate for an average customer while providing all the filters and plugins that a user might need. More complexity also means that development needs more time. You can reduce this by having a dedicated team of developers. You can use the resources provided by a consultancy firm to achieve your development goals. The budget as a factor differs from the other factors on this list in the sense that it has a limiting effect on your web-store. Depending on your financial projections and available funds, you can come up with an average amount that you are willing to invest in the development of your e-commerce platform. But more importantly, you must give due importance to your long-term goals and whether your choice will work out for you in the long run. Imagine your website without the financial constraints and then determine how you can achieve that with the available funds. You can look at the above-mentioned exercise as an analysis of the scope of your business. It is crucial that your website meets your business needs. After sorting this out, you will need support and updates to ensure smooth operation. While freelancers only take the responsibility up to the time of delivery, a development firm will assist you over time as its interest lies in maintaining long-term relationships. This is even more important when you’re looking to scale your operations. You will need constant assistance from the developer. The entity that created the web-store is best suited for upgrading it as and when required. The size of your operation will also affect your preferences for development as it will require integrations with other tools such as ERPs. It will also decide whether you opt for the open source or the enterprise version of the software. These integrations need experts from different domains to work together, which is only possible when you’re working with a firm having a diverse portfolio. If you work with a firm from the beginning, you’ll have the flexibility to use their services as the size of your operation increases. Freelancers may not be able to assist you beyond a certain point and this may come to hinder your progress. Knowledge of the above-mentioned factors will give you important insights into the execution of your e-commerce store. Based on that, you can determine the kind of Magento development services you need to hire. 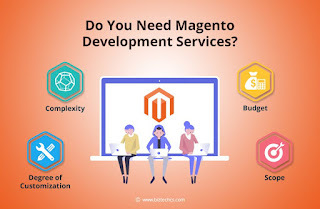 Before you hire Magento developers, you may get in touch with them and discuss the relevant factors. This will give you a fair idea about the developer while bringing clarity to your analysis. There’s an old saying that goes, “measure twice, cut once”. The same is true for Magento store development. Before you began, you must be thorough with all the details that go into your website. Your site is your store and you must treat it that way. The beauty of digital marketing is that the results are measurable. You can objectively measure which activities are paying off. Consequently, you’ll know which digital marketing tactics you should pursue, which ones you should drop and which you must you should prioritize. So, when you’re making your digital marketing strategies, you have all the data that you need available at your fingertips. Picking a Digital Marketing Services Company is a different matter altogether. There are new companies sprouting every day. Each one claims they can help you rank your website on Google. Well, there’s a limit to the number of sites that can rank for a keyword on the first page of a Google search. Besides, it is not just about ranking, you must rank for the right keywords. Otherwise, you might get a considerable amount of traffic but with few conversions happening. There are many factors that you need to analyze when you’re considering a Digital Marketing Services Company, particularly an SEO Service Provider. However, some of them outweigh the others. Let’s go through them briefly. Coming back to site ranking, an established SEO Service Provider will know the best practices of SEO. 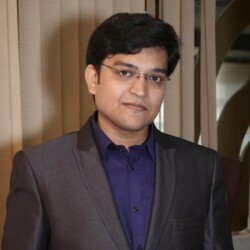 He will also have experience in several critical areas such as keyword research and link building. Using this knowledge, they can predict, to a certain extent, what strategies would work for you. This keeps the process streamlined as opposed to a novice fiddling with the various metrics. You can assess the company’s approach by going through the case studies their case studies. You can also have a discussion with them and inquire about the key areas that you think are the most important. As discussed above, digital marketing has the advantage that it lets you analyze the results. You must ensure that the SEO Service Provider Gives you regular analysis and reports, quantifying the progress. This will enable you to keep track of the results by comparing it to the documented plans and determining whether the Digital Marketing Services Company is delivering on their promise. Your aim should be to optimize your buying cycle. The actual sales process must be as short as possible. This will decrease the number of abandoned carts. You can further reduce cart abandonment by studying and optimizing the flow of control. Perhaps the most important metric of your success is the number of customers who come back to purchase your product. This is also partially dependent on their previous buying experience with you. Once you have reached a desirable ranking for the relevant keywords, you need to maintain it. Having a good ranking isn’t just an incremental step, it is a significant achievement. This is because when you’re ranking high on search engines, you get more traffic. This, in turn, leads to a higher ranking. Hence, it can have a cumulative effect in the form of a multiplicative market impact. Did you know that SEO is one of the most cost-effective ways of marketing your business digitally? This is because the results obtained are purely organic, without any form of advertising or paid promotions. It is also one of the most important tactics to use. You should start implementing this at the earlier stages of your marketing process. Jumping from one SEO Service Provider to another is not a desirable process. So, you should take every measure to avoid making a regrettable choice. You must analyze your business goals and figure out what your marketing needs are. Discuss them with the prospective companies and understand how they intend to achieve these. Your brand image will serve you in the long run. It is a small factor with a great impact, that can make or break your business. Don’t get overwhelmed by the number of choices. Filter out the companies that look promising- ask a friend, read suggestions, go through their portfolio. Then you can contact them and get a better understanding of how they operate. The final deciding factor, however, is the company’s work philosophy and clarity in communication. The top few companies will all be equally impressive. But this is a long-term relationship. So, you must choose the company that you feel comfortable with. 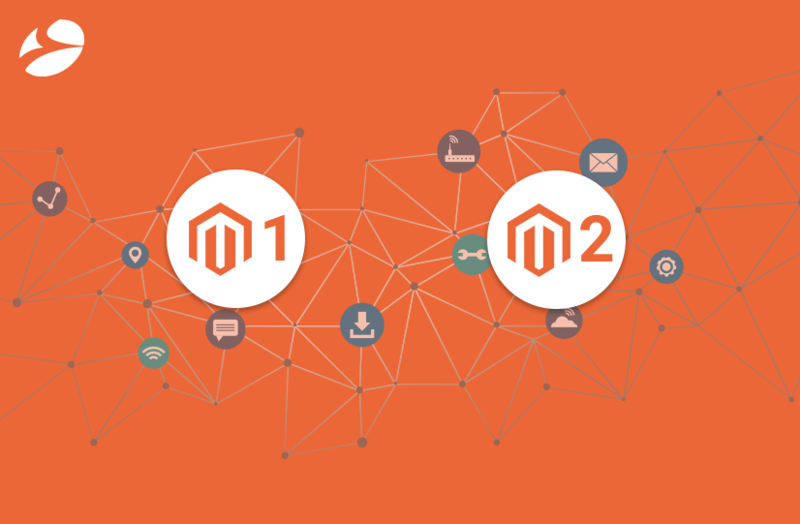 Last September, Magento announced that it would end support for Magento 1 in June 2020. This means that many businesses will have to migrate their Magento 1 stores to Magento 2. It is natural for users to be wary of various issues associated with migration. However, you may also see this as a chance to build a website that is faster, better, and more reliable. Let us look at the factors that’ll help you determine the course of action that you must take with respect to your e-commerce website in the foreseeable future. The ideal target is to have a store that has the same familiar look and feel as before but a whole different engine underneath. Still not convinced? Read on. Estimates suggest that only 4% of the 420,000 websites running Magento are using Magento 2. 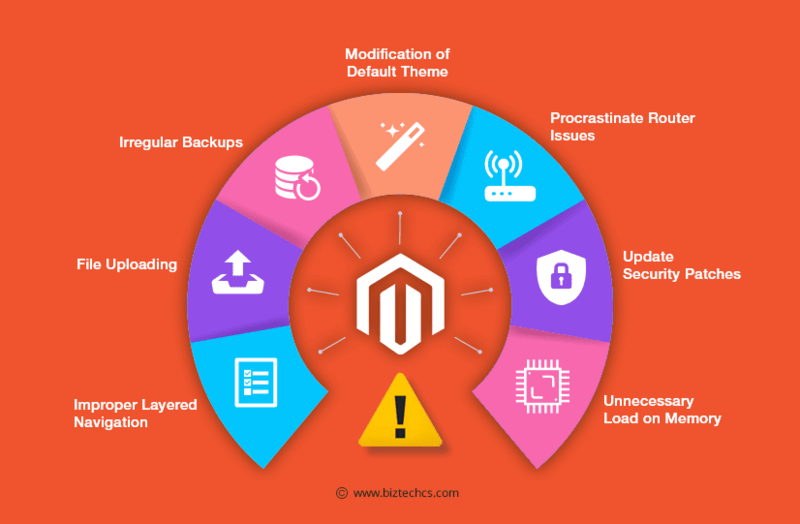 Which means, this news affects around 95-96% of all Magento users. 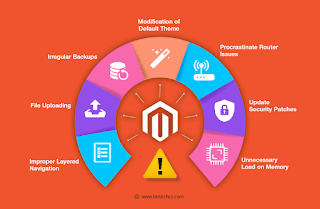 Since the support will officially continue till June next year, it is the right time to have a Magento development service migrate your site from Magento 1 to Magento 2.
involved so that you can properly assess your options. After all, migration is not a smooth process and presents its own challenges. You have to build the theme from scratch. You can’t port your Magento 1 themes to Magento 2 directly. It won’t be long before the Magento 1 websites go obsolete. If you don’t want to join the pile of abandoned projects, you must take prompt action. A change is imminent. Why not go for it now? The benefits far outweigh the risks. 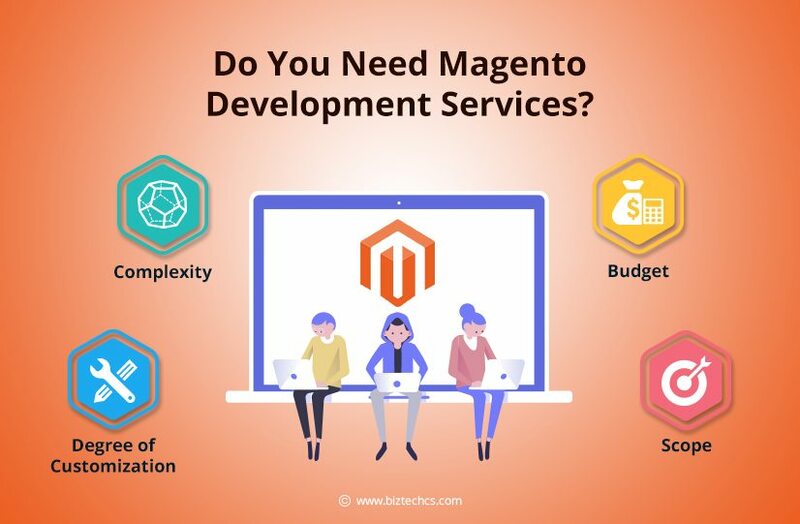 Hire a Magento developer today!